Last night, Apple released its new smart watch Apple Watch Series 3, along with the launch of its flagship iPhone models. This watch is the first one of the Apple watch series to have its cellular connectivity. Apple CEO Tim Cook said that Apple Watch is the No. 1 watch in the world with 97 per cent customer satisfaction. Comes with built-in cellular technology with an electronic SIM. It calculates your resting and recovery heart rate. New barometric altimeter to measure relative elevation. Does not need any iPhone nearby. The watch will be available in two models – one with GPS and cellular, and another with the only GPS. 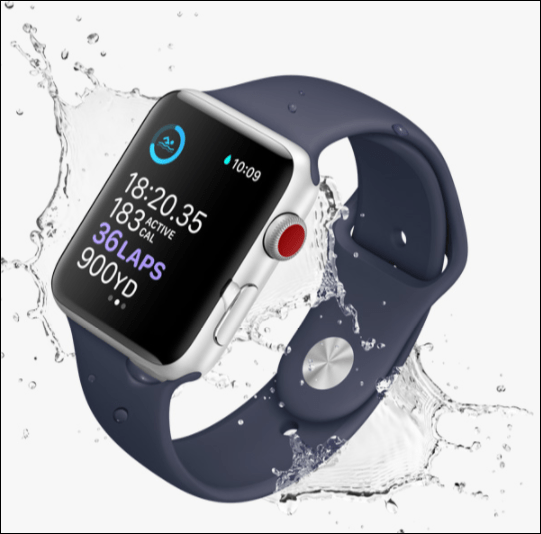 Jeff Williams, Apple’s chief operating officer, said that the Watch would provide a new sense of freedom with the new cellular technology. The cellular variant costs $399 while the other on- cellular model costs $329. Both the models of the new watch will be available for order from Friday 15th September. However, the former model will be available in only ten select countries while the latter will be available in 28 countries and territories. The Apple Watch Series 1 and 2, which are still available to purchase, both come in rose gold, space gray, and gold. The Series 1 starts a $269, while the Series 2 starts at $369. The Series 2 also comes in stainless steel and space black, which starts at $549.